Writing first appeared around 6,000 years ago, with the earliest evidence being clay tablets from Mesopotamia. The earliest alphabetic writing was developed by the Phoenicians. The Greeks borrowed that alphabet, with modifications to suit the sound system of Greek. In turn, the Romans borrowed and modified the Greek alphabet to fit the sounds of Latin. Most modern writing systems use some form of the Roman alphabet, although there are several other scripts that have found widespread use, including Cyrillic, Arabic, and Devanagari. However, there are a few cases of unique writing systems that were invented to suit the needs of a single language. Here are 10 of those writing systems. In 1959, the Hmong script was invented by Shong Lue Yang, who was born into a poor farming family. His parents died when he was a child, and he never received any formal education. Tradition holds that Yang created the Hmong syllabary through divine inspiration. One day, his grandfather sent him out to the fields to chase away monkeys that were stealing crops. Yang fell asleep in the field and dreamed of two spirits that brought him knowledge of writing. They placed a book in his hand and told him to spread writing to the Hmong. The Hmong script is syllabic, rather than alphabetic, with only two types of syllables that are possible. A syllable can be just a vowel, or it can be a consonant onset followed by a vowel. Additionally, vowels can carry one of seven different tones. Writing is simple. Each syllabic symbol has three parts, which represent the onset (if there is one), the vowel, and the tone. However, these sounds are not written in the order that you might expect. The vowel of a syllable is written first, even if the syllable starts with a consonant. Since about 90 percent of the language is monosyllabic, this is a practical way of writing. Shong Lue Yang later fled to Laos from communist Vietnam and taught the script to the Hmong living there. In 1971, he was killed by Laotian soldiers due to his increasing influence with a resistance group. Today, his script persists, but it is not as commonly used as the writing system based on the Roman alphabet. Hangul, the Korean writing system, was created in 1443 by a group of linguists working for King Sejong. One striking property of Hangul is its “visual phonetics.” Each letter was designed to convey information about how to pronounce it. For example, consonant sounds made at the lips—which include [b], [m], and [p]—are all written as boxlike symbols. Consonants that are plosives (which involve the brief stoppage of air) are indicated with a top horizontal stroke. Vowels are drawn as perpendicular intersecting straight lines, making them visually distinct from consonants. Another interesting feature of Hangul is that letters aren’t written sequentially like most alphabets. 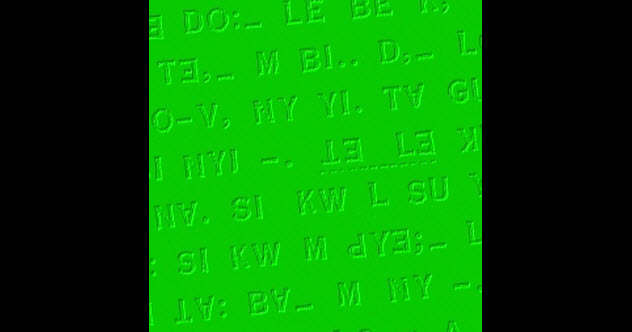 Instead, each syllable of a word is written as a block of letters, with some stacked on top of others. There are thousands of possible syllables, and you can see an exhaustive list here. Each stack begins with a consonant symbol, followed by a vowel symbol which is placed either underneath or to the right depending on the shape of the vowel. Some of the rules for stacking symbols can be found here. In 2009, speakers of Cia-Cia, an Austronesian language of Indonesia, began a project to adapt Hangul to their language. However, that project was later abandoned due to an Indonesian law that requires languages to be written in Roman script. Irish is a Celtic language that is spoken in Ireland. Today, the language is written using the Roman alphabet. Just like other Celtic languages, it has notoriously complicated spelling rules. Long ago, however, Irish had its own native writing system known as ogham. 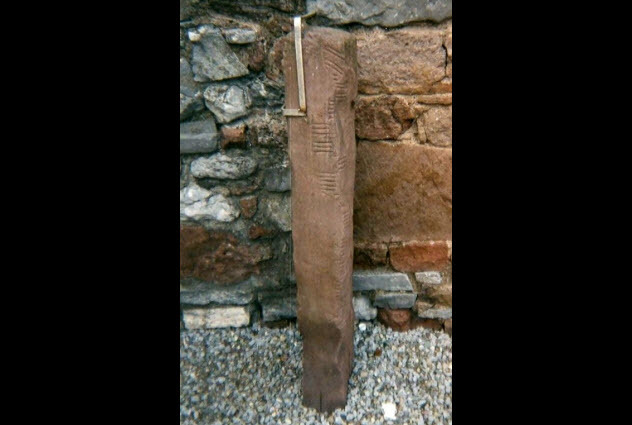 Hundreds of inscriptions in ogham have been found all around Ireland and western Britain. You can see images of many of them here. Most inscriptions are simple and generally consist of names. Ogham is a vertical script, read from bottom to top. It is designed to be written on wood or stone. There is a long straight line that leads down the middle of an inscription. Most consonants and vowels are indicated by drawing one or more lines at a right angle to the main line. However, some sounds are indicated by lines that cross diagonally through the main line, and a few vowels are shown with dots. Naxi is a Sino-Tibetan language spoken by around 300,000 people in the Yunnan province of China. Their traditional writing is unique because it is a mixture of a phonetic system with a pictographic system. Some of the symbols represent sounds, but other symbols are pictures that represent a concept directly. 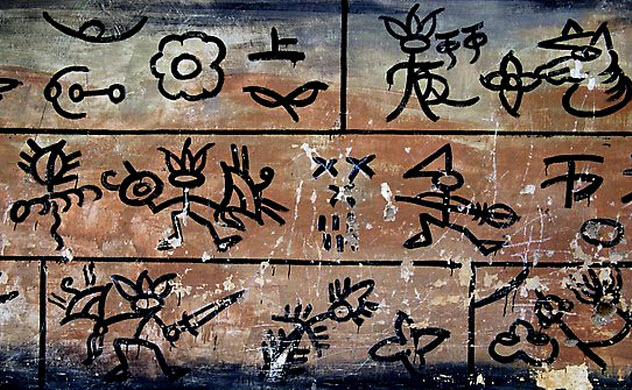 For example, the word for “flower” is actually a picture of a flower rather than a sequence of symbols that make up the sounds in the word “flower.” This page has many samples of documents written in Naxi. The origins of this script are unclear, but it probably developed in the 13th century through contact with other writing systems such as Chinese and Tibetan. Today, few people know how to use this writing system, and it is mainly found in a religious context. The traditional religion of the Naxi is called Dongba, with the writing system often called by the same name. The majority of Naxi speakers today use the Roman alphabet to write their language. Ancient Naxi manuscripts are registered in UNESCO’s Memory of the World. 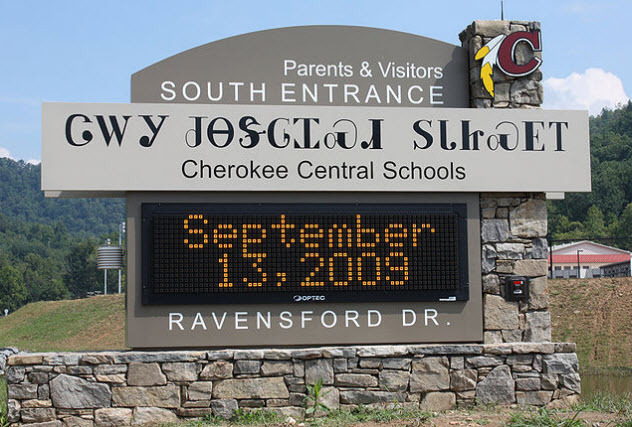 Cherokee is an Iroquoian language that is spoken in Oklahoma, North Carolina, and Delaware. The alphabet used to write this language was invented by a Cherokee man named Sequoyah in the early 1800s. What makes this invention particularly amazing is that Sequoyah was previously illiterate and never learned to read any other languages. He discovered the principle of phonetic writing entirely on his own. The Cherokee knew that English colonists could communicate with bits of paper, but they did not understand how. Sequoyah suspected that symbols on the paper stood for words. Furthermore, he was certain that it was possible for his people to communicate in the same way. He began a multiyear project of developing Cherokee writing from scratch. In his first attempt, he decided to use one symbol for each word. But he quickly realized that this type of system required thousands of symbols and would be difficult to learn. He then hit upon the idea of representing sounds on paper instead of entire concepts at once. This proved to be much more practical. After some more work, Sequoyah had developed about 80 syllabic symbols. To demonstrate that the system worked, Sequoyah taught it to his six-year-old daughter. Then he took her to visit another group of Cherokee further away. While his daughter waited out of earshot, Sequoyah asked some other Cherokee to say a few words, which he wrote down. Then his daughter was called over, and she amazed everyone by reading and repeating the exact words. Sequoyah’s writing system spread quickly through the population. It was easy to learn to write, and people could generally master it within a week. Today, it is still in wide use for everything from newspapers to novels to Wikipedia. Bassa is a Niger-Congo language in the Kru family that is spoken in Liberia and Sierra Leone. The Vah script was developed by Thomas Narvin Lewis in the early 1900s. It is an alphabetic script with symbols for individual consonants and vowels. Although most languages in West Africa are tonal, indigenous writing systems do not often indicate tone. The Vah script is unusual in this respect. There are also special tone symbols that can be added to vowels. The exact origins of this script are uncertain. Lewis was from Africa but attended Syracuse University in the US. When he returned to Liberia after graduation, he claimed to have met a small group of Bassa who had kept an ancient script alive. His Vah alphabet is supposedly based on this ancient one. Others dispute this and suggest that Lewis developed the script elsewhere, either while studying in the US or possibly during a trip to Brazil. Lewis’s life ended tragically when he was poisoned in a plot by his wife and brother. The Liberian government viewed Lewis as a threat to their nationalization programs, and they paid his family to kill him. Lisu is a Tibeto-Burman language that is spoken throughout parts of southwest China, northern Burma, and Thailand. The alphabet was invented by Protestant missionaries in the 1910s and refined over several years. It is named after James Fraser, one of the missionaries. The Fraser alphabet consists entirely of symbols that look like uppercase letters of the Roman alphabet. However, some are rotated or turned upside-down. Few of them have the sound values that you would expect from English. For instance, the symbol “F” stands for the sound [ts], and an upside down “J” stands for the sound [f]. In 1915, the decision to use rotated characters made it challenging to type Lisu on a typewriter. So it was handled by leaving spaces in a document and then inserting the upside-down characters later. But the letters didn’t always line up properly on a page. Eventually, in the 1920s, people converted their old typewriters by welding upside-down letters onto keys that weren’t otherwise needed. Now there is a Unicode block for the Fraser alphabet. The writing system is still in use today, predominately among Lisu Christians. In 1992, the Chinese government declared the Fraser alphabet to be the official writing system for Lisu. Vai is a language in the Mande family that is spoken in an area between Sierra Leone and Liberia. The Vai writing system is syllabic, meaning that each symbol represents either a vowel or a combination of a consonant and a vowel. The spoken Vai language has 12 vowels and 31 consonants, which makes for a large number of possible syllables. Unsurprisingly, the writing system is also quite large, with more than 200 symbols. The symbols themselves are also complex. Mathematical analysis has found that the symbols of written Vai are more complex than those of the Latin or Cyrillic alphabets. The origin of this script is somewhat unclear. In the 1820s, it was invented by a Vai man named Momolu Duwalu Bukele, who claimed that God had appeared to him in a dream and showed him all of the symbols to use. Bukele is not the only person to have received divine inspiration for a writing system. There are other examples throughout West Africa. A less supernatural possibility is that Vai was influenced by the Cherokee language spoken in the Southeastern US. Despite the vast distance between the two countries, there is some evidence of a connection. A Cherokee man named Austin Curtis immigrated to Liberia and married into a Vai family. 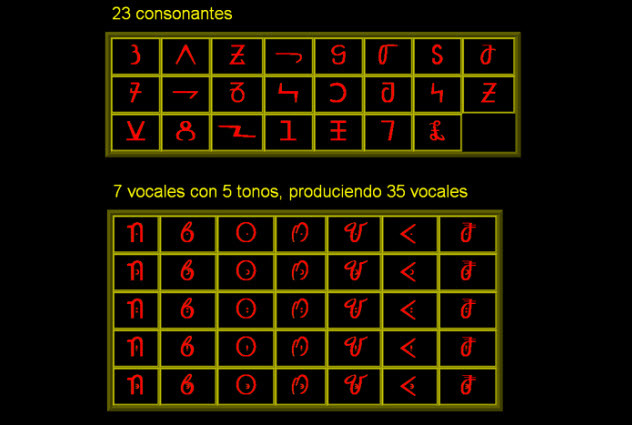 It is possible that he spread some knowledge of the Cherokee writing system, which might have provided some inspiration for the Vai script. Mesoamerica was one of the few places on Earth where writing developed independently. Several writing systems existed, and the Mayan script is the most deciphered and well studied. Research has found that Mayan writing is one of the oldest in the region. It is also one of the most elaborate scripts in the world. Mayan writing is a mixture of syllabic and logographic: Some symbols represent a syllable while others represent an entire word. In fact, the same word can be written using either method, and sometimes, both are combined. There are roughly 700 symbols, each with enormous amounts of detail. Many of the symbols look like pictures of animals, people, spirits, or objects. 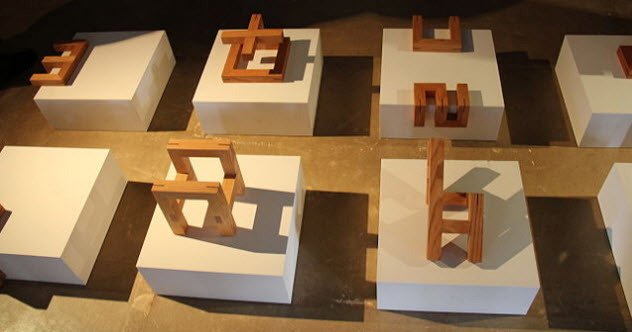 Mayan words were written in units called glyph blocks, with each block containing one or more symbols. There is usually a main symbol in the center and other symbols stacked to the left (prefix), to the right (postfix), above (superfix), or below (subfix). For example, the subjects of verbs in the ergative case are prefixes, while in the absolutive case, they seem to be subfixes. Literacy was not widespread in Mayan society. Knowledge of writing was mainly restricted to a class of scribes. Most of the Mayan codices were destroyed by the Spanish in their attempt to convert the population to Christianity. A few texts survived, mostly on the topics of astronomy and religion. One of the most famous linguists of the 20th century was William Stokoe, whose work on sign language was revolutionary. Until the 1960s, the common belief was that sign languages were simply gestures or pantomimes and lacked any grammar. Stokoe demonstrated that sign languages contain complex systems of syntax and morphology and can be analyzed in the same way as spoken languages. He even developed a way of writing American Sign Language. At first, this might seem impossible. Written language represents sounds on paper. By definition, sign languages are soundless. So how could this be done? In his research, Stokoe discovered that signs are not holistic units. They contain smaller parts, which are reused and recombined to make different signs, just like consonants and vowels can be used to make different spoken words. Stokoe identified three major properties of a sign that he included in his writing system. The first property is location, which encodes where the sign is made in physical space. For example, the sign can be made in front of the eyes, by the chin, at chest level, etc. The second property is handshape, which encodes which fingers are extended and whether they are bent or straight. The third property is movement, which encodes how the hands move through space while signing. Unfortunately, there is no way of representing information about facial expressions, which are also important parts of a sign. This notation is rarely found outside linguistics today. Most users of American Sign Language are bilingual in written English. If you like language facts, follow me on Twitter @LinguaDiem to learn about a new language every day.